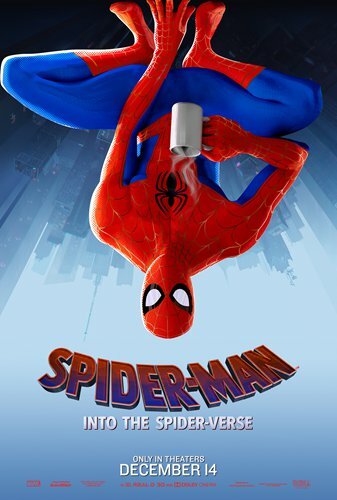 Spider-Man: Into the Spider-Verse snared North American viewers in its web this weekend, earning $35.4 million in ticket sales, industry tracker Exhibitor Relations estimated on Sunday. Sony's action-packed animation sees Peter Parker make way for Miles Morales as Spider-Man - a black, Latino character new to theatergoers, but not comic book enthusiasts. In at second was Warner Bros' crime film The Mule, which earned $17.2 million. Clint Eastwood both directed and took the lead as a destitute 90-year-old who turns to transporting cocaine through Illinois for a Mexican drug cartel. Dr. Seuss' The Grinch dropped one place to third, earning $11.6 million over the weekend. Actor Benedict Cumberbatch voices the grouchy title character as he plots to steal Christmas. Fourth place went to Ralph Breaks the Internet, which took in $9.6 million after spending three weeks at the top of the box office. The animated film, a sequel to 2012's Wreck It Ralph, has sold $154 million in domestic tickets since it opened. In at fifth was Universal's newly-released Mortal Engines, whose ticket sales stalled at $7.5 million. The post-apocalyptic sci-fi sees Hera Hilmar star as the only person who can stop the city of London - now a colossal wheeled predator - from chomping up everything in its path.